Yellow Vase, a bakery, and café meets full-service florist just opened at South Coast Plaza. 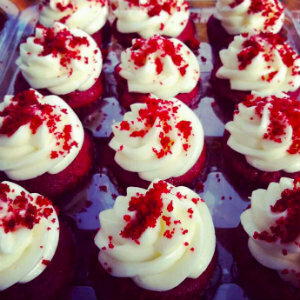 Founded in 2008 by owner Morgan Sanjar, a lifelong home baker, she already has five locations throughout the South Bay: the original in Redondo Beach, Rancho Palos Verdes, Palos Verdes Estates, Hermosa Beach, and Manhattan Beach. 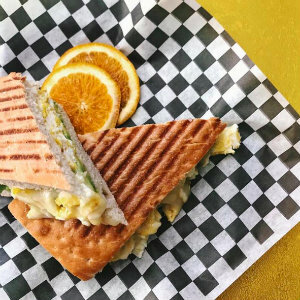 With its signature cheery interior that includes seasonal yellow flowers and whimsical gifts, Yellow Vase is a French café with a California twist, a grab-and-go bakery with seated dining and a menu of savory and sweet offerings. Yellow Vase doubles as a high-end florist known for creative floral arrangements. In addition, the eatery offers catering services and specializes in unique cakes. The restaurant serves breakfast and all-day light, fresh fare with American, French, and Italian accents. Menu offerings include brioche French toast, crepes, omelets, quiche, salads, soups, pastas, sandwiches and wraps, plus an extensive selection of pastries and coffees. Open 10 a.m. – 9 p.m. Monday to Friday; 10 a.m. to 8 p.m. Saturday; 11 a.m. to 6:30 p.m. Sunday. The new Yellow Vase at South Coast Plaza is located in the Saks Fifth Avenue Wing, Level 1. 3333 Bristol St. in Costa Mesa. 714.445.0013.